Some BRAMMO Electric Motorcycle Manuals PDF are above the page. American company Brammo has passed a very complex and thorny path in its development. So, initially, this company was engaged in the production of supercars for people who have a large growth or large size. After that, the company acquired a license to assemble Ariel Atom (Manual PDF page). 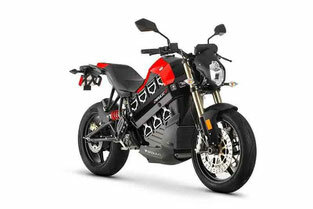 However, Brammo found its vocation in the production of electric bikes. To date, it is one of the few organizations for the production of electric vehicles or electromotorcycles, which use a multistage gearbox on their technology. For example, a 6-speed gearbox is installed on Brammo motorcycles. According to the developers, this not only makes the electrobike similar to their gasoline counterparts, but also involves drivers in the process of controlling the motorcycle. The designers of the company decided to use on the body a design resembling cylinders on an ordinary motorcycle. In order to make the most of itself, the company invented the first electric bike Brammo Enertia, which began to distribute not according to the usual moto salons, but concluded an agreement with the network of hypermarkets BestBuy. As a result, motorcycles began to be sold in these stores. According to the company itself, electric bikes are significantly different from traditional motorcycles, which makes them the place among other electrical products. The first motorcycle had a motor power of only 17.5 hp. Since these were only trial steps of the company in this direction, a 6.2 kWh battery was installed on the bike, which was only 130 km across the city or 72 km along the highway. Read - ZERO Electric Motorcycle Manuals PDF & History. A feature of the Brammo motorcycles is the Empulse battery, which consists of 7 modules, at 1.33 kW / h each. Also in this battery cells are used, in which Li-NMC chemistry is located. Thus, the battery life is about 1500 cycles of full charge-discharge, which on average is about 170,000 km. And if you add to this that a motorcycle is a seasonal vehicle, then the battery life can be equated to the life of the motorcycle itself. Charging the battery is about 8 hours when using a 110 volt outlet, which is commonly used in the US. If you charge from the outlet 220-240 volts, the battery will be charged in about 3.5 hours. A feature of all motorcycles of the company Brammo is a data collector, recording every second key parameters of an electric bike to USB storage. This greatly helps with the analysis in the service center. 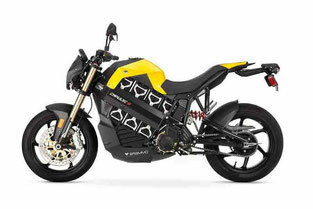 Electric Brammo Empulse has a weight of only about 213 kg, the maximum load is 142 kg. The bike and many cars have an underestimated cent of gravity, which makes it more stable, compared to other analogues. The maximum speed of the bike is 177 km / h. When driving around the city, one charge should be enough for 200 km, but if you drive out of town and drive at a constant speed of 110 km / h, the battery reserve will drop dramatically to 90 km. 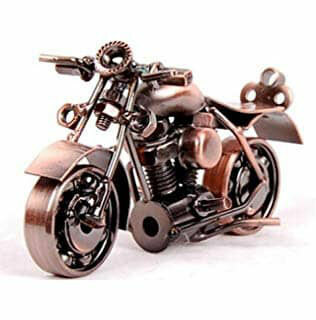 Since the motorcycle has a 6-speed gearbox and clutch lever, it always gives the maximum performance of its power. Model Brammo Empulse RR, in contrast to the previous bike, was specially designed for racing. As a result, the motorcycle has an improved high-voltage voltage system up to 400 volts. The engine power is 170 hp. In addition, carbon-fiber wheels are initially installed on the motorcycle. Read - E-TON Motorcycle Manuals PDF & History.